A Guide To Tinnitus Accident Claims – How Much Compensation Can I Claim? At Legal Expert, we can connect you with our own specialist personal injury solicitors who can help you to make no win no fee tinnitus compensation claims. Tinnitus commonly presents as either a high pitched and ringing sound, or as a humming or buzzing in the ears. 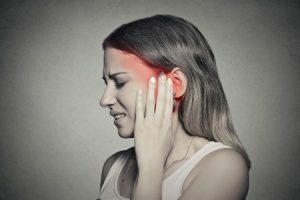 Tinnitus is a condition which many people have experienced at some point, this could have occurred after visiting a loud concert or another venue. This type of tinnitus will often disappear in a short period of time, such as by the next morning. However, if a person is regularly exposed to excessive levels of noise, this exposure can result in a significant hearing loss. Over time, this can lead to symptoms such as permanent tinnitus sounds and hearing losses. If this tinnitus and/or hearing loss has been caused by your work, you may be able to make a tinnitus compensation claim. At Legal Expert, we may be able to help you recover the compensation and damages you deserve. Can You Claim For Tinnitus? According to statistics produced by the BTA or British Tinnitus Association, 10 percent of adults in the UK will have been affected by tinnitus at some point. Tinnitus is defined as the sensation of hearing one of several sounds such as buzzing, ringing, hissing, whistling or chirping in the ear, independent from any outside sounds. Depending on the condition of the person, this sound can be either continuous or it can be intermittent. Tinnitus can become worse when background noise is low. This is because it can be much more easy for the person to hear and focus on the sounds. If you suffer from tinnitus you may find that you become more aware of the sounds when you are alone, in a quiet room or at night when trying to sleep. Rarer cases include pulsatile or heart tinnitus. This is where the sound beats in sync with your own pulse. Tinnitus is often linked to other conditions such as a loss of hearing, diabetes or ear infections. Tinnitus, however, does not cause the hearing loss and hearing loss is not caused by tinnitus. Some people who have tinnitus do not experience any hearing loss or difficulty. Some people with it can develop hyperacusis or an acute sensitivity to sound. Those affected have to take steps to mask or muffle external noises. Whilst many cases of tinnitus can be caused by excessive noise, it can also be caused by blockages in the ear or even certain infections. Most commonly it is caused by exposure to excessively loud noises. If this was the result of negligence on the part of your employer, you could be able to make a workplace compensation claim. You can also make tinnitus compensation claims if your symptoms were caused by a venue owner playing music at a volume which is dangerously high or if your GP or other doctor has prescribed the wrong medication. Tinnitus which presents with dizziness. If the tinnitus is also painful, or if there is drainage from the ear. These could also be symptomatic of other conditions such as high blood pressure, thyroid conditions or other diseases. As such, it is always a good idea to get any tinnitus to hearing and associated symptoms investigated by your GP. The constant sounds which are caused by tinnitus can cause problems for sufferers such as sleep loss and even an oversensitivity to noise which could eventually lead to a complete loss of hearing. Acoustic shock or constantly being exposed to loud noises when you do not have the correct hearing protection means you could be able to make a tinnitus compensation claim. Depending on the level of tinnitus, you may be able to make a severe or moderate tinnitus compensation. People working in industries such as; agriculture, engineering, manufacturing, construction and building and some parts of the service industry. These workplaces can often have a high level of noise, constant volumes, are prone to acoustic shock and could have an unexpectedly loud noise. If you have suffered from tinnitus or hearing damage which has been caused in the workplace or through a lack of the correct personal protective equipment in the workplace, talk to the specialist at Legal Expert today. Carry on reading below to see a breakdown of previous average payout for tinnitus awards. Persistent exposure to excessive noise in the workplace is a very common cause of tinnitus, it can also be a leading cause of occupational or industrial deafness. The initial symptoms of hearing loss can present alongside tinnitus. If your workplace is occasionally very noisy, or if you come out of a noise venue you will experience phase change where you have a temporary ringing in the ears. Most people won’t think anything of this as it will clear up relatively soon. The symptoms of industrial deafness begin with you noticing that you are missing words or parts of a conversation, this can be especially prominent in areas there is a lot of background noise. Commonly once you start to notice some degree of hearing loss you will also start to notice some degree of ringing in one of your ears. This could start as a sound which will come and go every now and then, becoming more regular as time goes on. This can mark the beginning of tinnitus. Statistics from the HSE (Health and Safety Executive) show that there are 18,000 cases of industrial deafness (also known as NIHL and Noise-Induced Hearing Loss) diagnosed each year in the UK. The statistics show that Noise-Induced Hearing Loss most commonly occurs in high-noise environments such as energy production, manufacturing and construction. Employees in these workplaces should be provided with specific Personal Protective Equipment (PPE) which can protect them from exposure to these noises and protect their hearing. If you have suffered from industrial deafness due a lack of Personal Protective Equipment or negligence on the part of your employer, you could be entitled to make an industrial deafness compensation claim. Visit our accident at work guide to see how much you can claim for hearing loss. Our solicitors can work with you to organise the specialist medical examinations. Working with your doctor, we will examine both your physical symptoms as well as your work history and whether you have been exposed to excessive noise. Below we take you through the first steps you should take if you start to notice the symptoms of either tinnitus or industrial deafness. Before you start a claim you should look at your work history. Have you previously worked (or do you now work) in a noisy environment. If you have worked in such a workplace, then it is possible that you could be entitled to make a compensation claim against a current or former employer. The next step is to book an appointment with and talk to your GP to discuss your hearing loss and tinnitus symptoms. As a first step, you should visit your GP. After an initial exam, you should ask to see an audiologist for a hearing test where you will get an audiogram. If there are symptoms of tinnitus or hearing loss they should then refer you to an ENT specialist. The Ear Nose and Throat consultant will be able to diagnose whether you are suffering from tinnitus and noise-induced hearing loss. Next to start your claim you need to get in contact with a solicitor who specialises in working on tinnitus or industrial deafness claims. When you start experiencing the symptoms of tinnitus or loss of hearing you need to contact a solicitor to handle your claims case. There is usually a three year period in which you need to bring your claims case, so make sure you begin your case as soon as you notice the symptoms. Once you notice the symptoms of tinnitus or hearing loss, you will have three years of starting a personal injury claim. The exposure could have happened several years ago and often those with hearing damage or tinnitus caused by a workplace environment may not experience symptoms straight away. You will (generally) have three years from the date your symptoms emerging to make your claim, even if you left the workplace many years before this. You can also claim compensation for tinnitus after a car accident. In a car, accident tinnitus can be caused either by the deployment of an airbag or through a whiplash injury. As a driver or passenger in a car involved in a crash, the deployment of an airbag can result in injuries such as ruptured eardrums and loss of equilibrium as well as long-term (or even permanent) tinnitus. This damage is caused by the loud noise the airbag makes as it deploys or the sudden and violent contact between your head and the airbag on collision. This is also known as whiplash tinnitus. Whether you are looking for moderate tinnitus compensation or a larger claim you will need to follow the same process. If your tinnitus claim is linked to an injury that you sustained at work, your employer can be held liable for this. You are entitled to make a claim as all employers in the UK have a legal duty of care to provide adequate protection for their employees. This duty extends to providing the correct PPE equipment to protect employees from excessive noises. Legislation including the 1974 Health and Safety at Work Act as well as the 1999 Safety at Work Regulations and The Management of Health and Safety Regulations (also 1999) all guide employers in their duty of care to employees. Specific legislation dealing with noise, tinnitus and hearing loss are detailed in the 2005 Control of Noise at Work Regulations act. Conduct regular and full risk assessments with regard to the noise levels in the workplace as well as identifying which employees/ job roles are affected by this. Identify and enact all of the appropriate controls and safety measures which control the level of noise in an area. These should minimise noise and keep workplace noise below 80 – 85 decibels. Controls could be through switching to quieter machinery or using quieter processes. It can also include using sound absorbent barriers. At a basic level, it means distributing the correct personal protective equipment for the noise level. Carry out the correct training and educational procedures, teaching staff on any risks of noise in their workplace. This includes providing training dangers to hearing or of tinnitus. Staff should be instructed on how to follow the correct safety processes and how to correctly use their PPE equipment. Employers should also ensure there are regular healthcare checks in place to monitor all affected employees hearing. If your employer has failed to enact some or all of these steps, and if you have then suffered from tinnitus and hearing loss as a result of this, they can be deemed to be negligent. In these circumstances, you could be entitled to make a tinnitus compensation claim. Making a tinnitus compensation claim by yourself can be expensive to pursue. You may have to hire a solicitor, making both upfront and ongoing payments for the life of the case. This can last many months and be very costly. For many people who have suffered a personal injury, the costs of pursuing a claim be prohibitive, deterring them from going to court. Those who have already suffered some kind of financial losses as a result of their accident or injury could be prevented from making a claim as they are unable to afford these fees. This is why we offer a no-win-no-fee service. This type of Conditional Fee agreement sets out what work we will carry out on your behalf. It details what we will do, as well as how we will be paid if we are successful. We will work to reclaim the money you are owed. The crucial thing with a no win no fee agreement is that claimant doesn’t need to make any upfront or ongoing payments for legal fees or services. If your compensation claim is unsuccessful (no win) you won’t have to make any payments towards the costs of our services (no fee). If successful, your costs are reclaimed as a part of the award. No win no fee agreements help those who can’t afford to pursue a case on their own. At Legal expert, we offer a guaranteed no win no fee service. Put simply, this means that you will pay nothing if your claim is unsuccessful. No win no fee agreements are also known as ‘Conditional Fee Agreements’ or CFA’s. If we win your case, you can rest assured that you won’t lose a big chunk of your award for our fee. No win no fee charges are set out by law and we can not charge more than 25% of the total award, so you will receive at least 75% of the total. Contact Legal Expert today to take advantage of our no win no fee services. If you have a tinnitus compensation claim caused by exposure to noise in the workplace, or through an accident or injury which was not your fault there are various expenses and types of damages you can claim for. The average payout for tinnitus will vary with the nature and severity of the symptoms you are suffering. Someone suffering from moderate tinnitus with some hearing loss could be entitled to compensation between £12,100 to £23,980. More severe cases of hearing loss and tinnitus could be entitled to claim between £23,980 up to £36,850. Compensation will be split into general damages and special damages. General damages will cover the actual injuries which were sustained as a result of the accident. This includes compensation for physical pain and suffering as well as emotional pain and suffering, such as anxiety, caused by the accident. Special damages take into account financial costs which you have incurred as a direct result of your accident. These costs could include the cost of any prescriptions and medications, travel to and from medical appointments as well as any loss of earnings which came from the injury. Special damages can also include any costs you have incurred in adapting your home or car to meet any new or special needs after a life-changing injury. How much compensation your tinnitus lawsuit awards will include will depend on how bad your injuries are as well as their long-term effects. Below, we have set out a table and tinnitus compensation calculator where you can see some of what you may be able to claim compensation for. Total Loss of Hearing in One Ear Severe £26,180 - £38,060 More severe cases will present with tinnitus as well as headaches and dizziness. Tinnitus and/ or partial hearing losses Severe £22,600 - £34,600 Including tinnitus and noise induced hearing loss. Noise Induce Hearing Loss (NIHL) and Tinnitus Moderate £11,300 - £22,600 Noise Induced Hearing Loss as well as moderate tinnitus. NIHL and Tinnitus Mild £9,575 - £11,300 Mild Noise Induced Hearing Loss as well as associated tinnitus. NIHL and Tinnitus Very mild £5,600 - £9,575 Occasional or slight tinnitus as well as some slight Noise Induced Hearing Losses. NIHL and Tinnitus Slight Up to £5,325 Some slight tinnitus and Noise Induced Hearing Loss. To begin your tinnitus compensation claim, talk to the specialist solicitors at Legal Expert today. Our phone lines are open 9am – 9pm seven day a week. You also talk to us using our online chat feature. Taking the first steps in making a personal injury claim can seem daunting. The best place to begin is by consulting with solicitors. At this stage, we can work to gather the necessary evidence and start to assess whether you have a viable compensation case. We can offer you a free consultation to look at the details of how you got tinnitus, its severity and the supporting evidence. At this stage, we can offer you a consultation with a doctor to further assess your injuries and their long-term effects. We can then take over your case and handle everything for you. Tinnitus caused by excessive noise in the workplace or through a car accident is much more common that many people think. The effects of tinnitus can be long-term and even life-changing if they cause hearing damage and loss. Tinnitus and hearing damage can prevent those suffering it from being able to live a normal life or from being able to carry on working. People choose to work with Legal Expert for a variety of reasons. We work with expert solicitors across the country to help people get the compensation they deserve. Thanks to our experienced staff, you will benefit from our expertise. Legal Expert are dedicated to fighting your case. Contact the personal injury specialists at Legal Expert today. Our team of highly professional solicitors are ready and waiting to start working on your case. We will work with you to win you the compensation you deserve for your tinnitus compensation claim. We connect claimants and solicitors across the country after they have been injured in accidents which are not their fault. Whether your tinnitus was caused by an accident at work, prolonged exposure to loud noises or through a vehicle accident, you can be entitled to make a compensation claim. Talk to Legal Expert today. Our dedicated specialist staff are on hand to begin working on your claim today. We will talk through your case with you as well as the amount of compensation you are entitled to. Phone us on 0800 073 8804, use our online chat feature or send an email to info@legalexpert.co.uk and request a call-back. Find out much more about the nature and severity of tinnitus caused by workplace accidents with information from the Health and Safety Executive. Information from the NHS on the symptoms of tinnitus and how to treat it. Find out more about how to make a compensation claim for an accident at work with our claims guide. How Much Compensation Can I Claim For A Car Accident? If you or a family member has had a car accident find out how much you can claim.